As I wrote about the sicknesses in Bali last week, it's good to write now about the traditional healing workshop that we had last Thursday. There really is a strong culture of a traditional healing in Bali. Many Balinese still think that normal doctors can't heal all the illnesses and that's why they still may prefer going to a traditional healer's place instead of visiting a doctor. 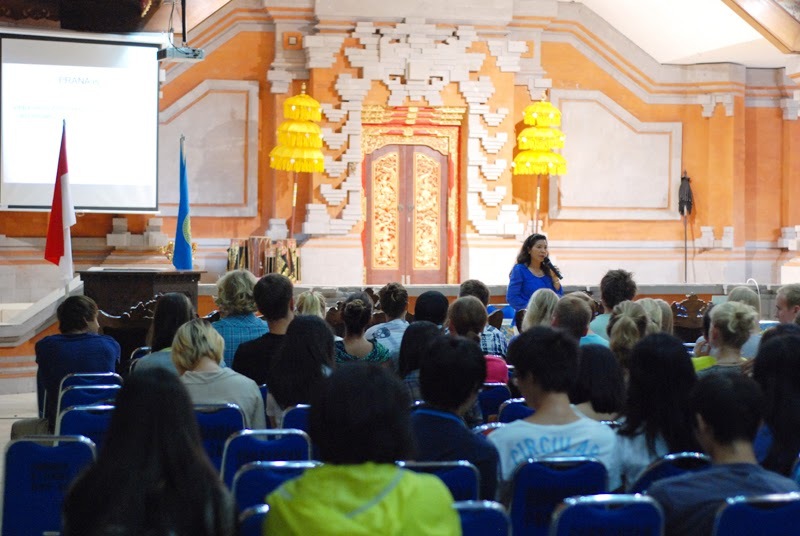 Asia Exchange students had a rare opportunity to learn a lot about this culture which is really interesting and completely different compared to for example the European healing culture. All of the information that was told in that workshop was completely new to me. The culture of traditional healing includes the belief that every person has own aura and seeing that aura is an important part of healing. I got an opportunity to go standing in the front of the class so that others could observe my aura, quite interesting experience. With the traditional healing you should be able to heal both physic and mental problems. 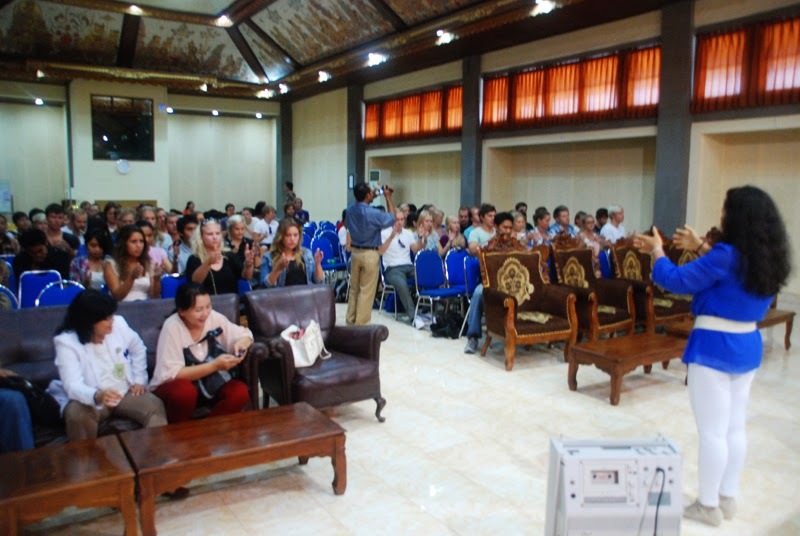 The workshop started with the lecture of a local healer who spoke about the theory about traditional healing. After the lecture the students got a chance to try to practice the right way to see things (that ability is needed if you want to heal someone). After that they practiced seeing an aura and even breathing in a right way. Finally a couple of lucky students got an opportunity to get healed from their headaches. At least there wasn't any results instantly but the healers told that for the first times it may take a day before the healing affects - maybe the headache has gone during the weekend :) Who knows. Of course this all may sound really silly if you're thinking this only in the aspect of western medical treatment but at least I think it's much more interesting to respect this tradition. This has nothing to do with cheating people or making them pay for nonsense: this is a real tradition and many Balinese people are still believing in it. 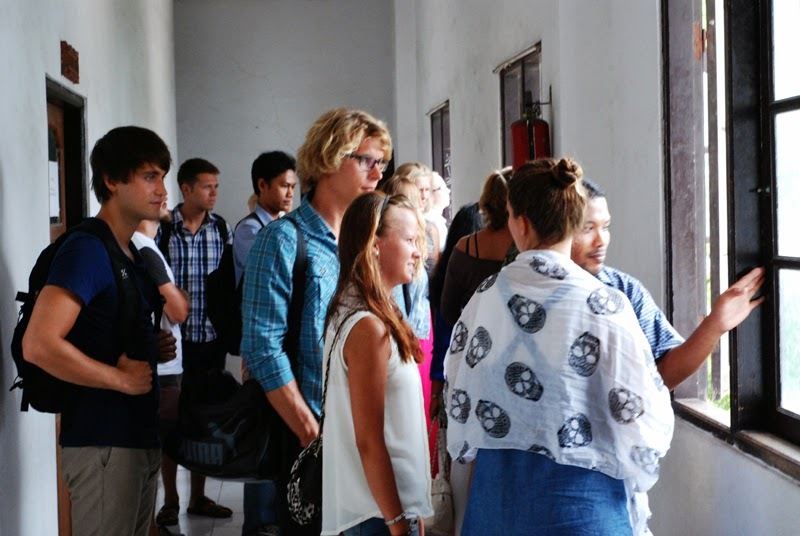 So, once again our students had a great chance to get an information about a special area of Balinese culture that normally tourists doesn't have a chance to know. Happy New Year from Bali!